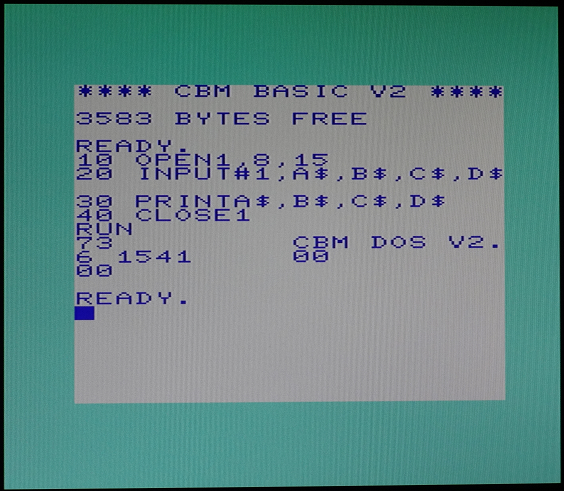 Checked in a first version of Mikes VIC-20 core. It requires the latest ARM firmware to load programs (PRG files). 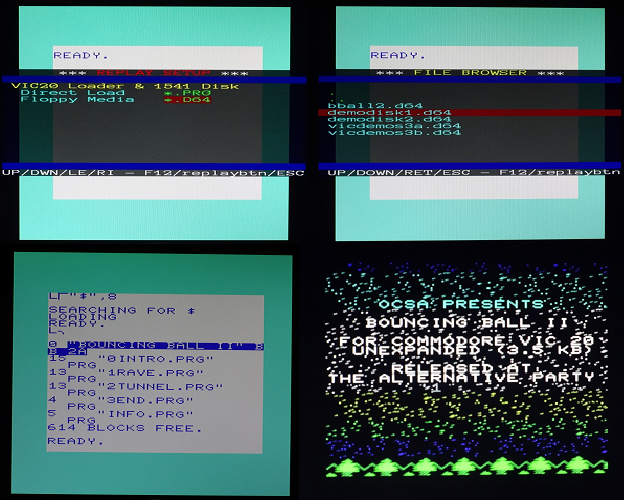 - exit OSD and enter "RUN"
Update on the VIC-20 core, I did implement the generic keyboard mapper and adopted the keyboard setup for this core. In the doc directory a file "Keyboard_Map_VIC20_C64.pdf" shows the actually used keyboard setup. - Support of SD (interlaced: Composite,SVHS,HDMI) video in parallel to HD (progressive: VGA,DVI-A,DVI-D,HDMI) video. For now requiring two separate INI setups. Will merge them in future again. Back when I was a kid, my VIC-20 had something called a "Super Expander". IIRC with was a cart that added 3KB of RAM and offered new BASIC commands and "high res" graphics. Is a *.CRT image for this available? 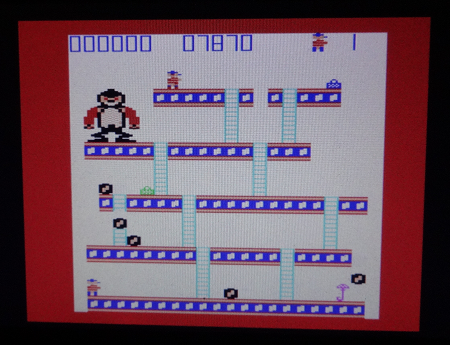 You can configure a 3k expansion as well as an additional ROM expansion at $A000 and upload the image there. Either via OSD or directly by setting up an INI and directly boot into this mode. I can also add a preconfigured INI for this setup to show how it is done. Wolfie, any eta d64 and tap support? Once that is supported some heavy testing can begin! Anyone knows where all the stuff can be found? I'll wait on Mikes Amiga setup for the initial file handling ARM<->FPGA and build on that. Does not make too much sense to work in parallel here and maybe ending up with incompatible solutions. The idea is again to have a framework suitable for all cores, not yet another minimg clone. I am also not sure yet if I should take all the effort for a full 1541-like emulation in FPGA like the x1541 or just handle it on the ARM like the sd2iec. Both would be possible, there should be even enough room to implement an AVR core in the FPGA and let the original sd2iec FW do the job. Have not looked yet in detail to these solutions to decide how "re-usable" they are in terms of documentation, license and readability. But first I will add an external IEC interface adapter/connector on the AUX lines on the board and connect a real 1541 and sd2iec to check if the core in principle would work. And there are several PRG files yet where I am not sure if it is a bad download or if they should work and the core is simply not executing them correctly. Especially the less sophisticated one would be great (e.g. more CPU and less VIC focussed), as they are easier to pipe-clean the setup first. So any hints on PRG files which are known to work and fail on this core are highly appreciated - just post them here, I can consolidate them and publish a list here (i'd just add it in the first post I made here). Nice find! Reading that PDF manual took me back. I did a quick look to Gideon's 1541ultimateII development and saw it is really nicely structured and well implemented (with clock gating and so on). So I removed the memory bus stuff and replaced it by some configurable block RAM from the Replay framework and got already a 1541 instance for the Replay. I can already read the 1541 status message after power on. I like this approach much more, as it will allow to use all fastloaders, Geos and so on, like an original device. The "connection" to the d64 file on a sdcard is yet missing, a load"$",8 works in principle, but still gives a disk error. I will do the missing link in HW (via a VHDL state machine) instead of a SW like approach Guideon used - just to avoid yet another SW development environment and especially to allow direct load/store of files from the Replay ARM environment (which will be selected via the already existing OSD/menu approach). (I hope) the final adoption should be just a minor task as soon as Mike has the generic floppy stuff tested for the Amiga and is stable. For now I'll test with a "hardcoded" file in memory instead. This might be available soon - or course I'll also try to keep eveything "encapsulated" that one can directly use the 1541 instance for C64/C16/Cxxx cores as well. Just checked in a "SuperExp.ini" and "SuperExp_SD.ini" plus all the ROM / example files I found and tried some of the sound and graphics examples. Works just fine with the actual VIC core. 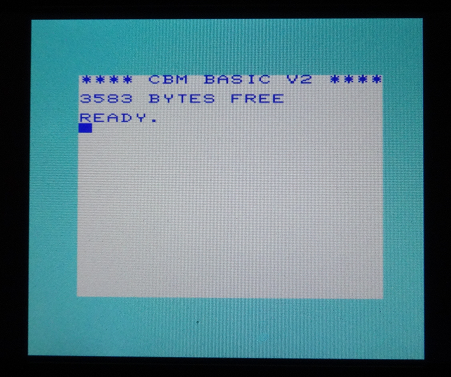 It is even possible to configure a version with 16k RAM, of course due to the shift of the basic RAM start adress original PGM files won't load correctly with the "direct" Replay loader (as it always takes the address as found in the file), the real VIC with tape/floppy should handle it properly (when not using the famous second ',1' parameter on the load command). Thanks for checking. That sounds great. I can just about remember how slow those hi-res graphics were, but it was still a thrill to draw "cobwebs" on the screen. Question: I have an old prototype FPGA Arcade with the old Amiga core from years ago. Can I run the VIC core on it (via another SD card), or will I need to do an update to my board (and if so, would that update kill my current Amiga core). Unfortunately it requires the new ARM setup for all the new (generic) configuration features (clocks, video, menu,...), the old one was more or less "hard coded". Sounds fantastic. I'll just keep on drooling. Took a little longer because I did a new implementation of the 1541 to re-use Mikes 6502 and 6522 implementations, which are IMHO much more accurate. I also did implement a new floppy "physical" streaming block, emulating a floppy media in pure VHDL (instead of using another processor for format handling and bitstream coding - as all the 1541 implementations I know do). Most things done, now I "just" need to connect to d64 files I will map to the Replay DRAM. Initially I will focus on read-only support. Great work. Keep us updated, this is fascinating stuff. Some media change mechanism is missing yet as well (toggling the write-protect LED as with the real device when inserting a floppy). Wow! Absolutely amazing. Great job Wolfgang. I think the FPGA Arcade is going to really impress the public thanks to the work being done on the cores as well as the actual hardware. One question, why does the VIC-20 use *.d64 files... should they be *.v20 files? (Reminds me of when I had my VIC-20 and C-64 hooked up side, by side and would occasionally load a C64 program on the VIC by mistake and vice-versa) because they were mixed on the same floppy disk. .d64 images a disk images for 1540/1541/1571 disk drives. You can use these drives with a VIC-20, in fact the 1540 was designed for the VIC-20. I was trying (feebly) to make a joke Jim. There's a reason why I cant make a living as a stand-up comedian.